As the years passed, I began to feel that the main character in several of the following movies of Satyajit Ray could be seen as a figure of Apu proceeding on his journey of discovery in the world and establishing new relationships with others. He became also a sort of model for many of us to imitate until one could see him in Manomahan Mitra (The Lovely Friend), the hero of the last film of Manikda, Agantuk 1991, (The Stranger). It is not difficult to see in an adult Apu ‘a lovely friend’. For me to set my feet on the land of India was not yet having come to India. In fact I had been coming to India in imagination ever since I was a kid. First I heard a maternal uncle of mine who had served two years in Sri Lanka, then part of India. Strikingly, since I am a person working in the field of communication, that uncle was an expert in radar communication during the war. When in Sri Lanka he felt in love not with India but with the Indians he came to know. And when back to Canada he spoke to us, the members of our family, about these Indians he so much admired. On the floor of the room in which we met with him there was the skin of a tiger, and on a wall there was that of a boa, an immense snake. These two animals even though they were dead made the room vibrating with life. Progressively, without having any plan in my mind, I first got interested in Rabindranath Tagore and I read in French his book of poems, Gitanjali. Then I came to know Mahatma Gandhi, not personally of course, but through what I heard about him. I also was fascinated by an Indian teacher of yoga established in Montreal, the city where I lived at the time. The guru was Swami Vishnudevananda, a Keralite, from a monastery of Rishikesh in the Himalayas. I learned from him some Hatha Yoga. And while I never was very steady on my legs, I managed to stand on my head. 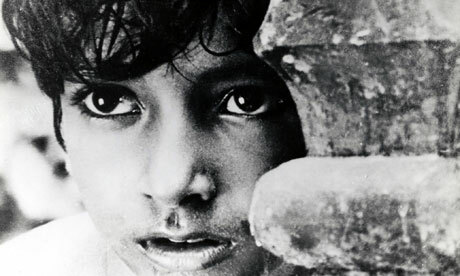 In the night before I travelled to India for the first time in my life I saw also first time in my life, three Indian movies: Satyajit Ray’s entire Apu trilogy in one sitting. This is how it happened. On my way to India from Montreal (Canada), I had to go through New York (USA) and spend one night there. 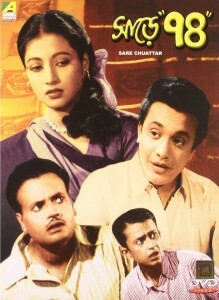 I saw in the newspapers that three films by Satyajit Ray of Kolkata would be shown in a cinema close to where I was. I had heard about those films, so I was happy to have an opportunity to see them. The films were the famous Apu trilogy. For me, the first film, Pather Panchali 1955 (The Song of the Road) impressed me so deeply that it became my ‘song of the road’ as a new comer in India. I liked the two other films also, Aparajito 1956 (The Unvanquished) and Apur Sansar 1959 (The Word of Apu) but it was difficult to absorb three movies one after another. 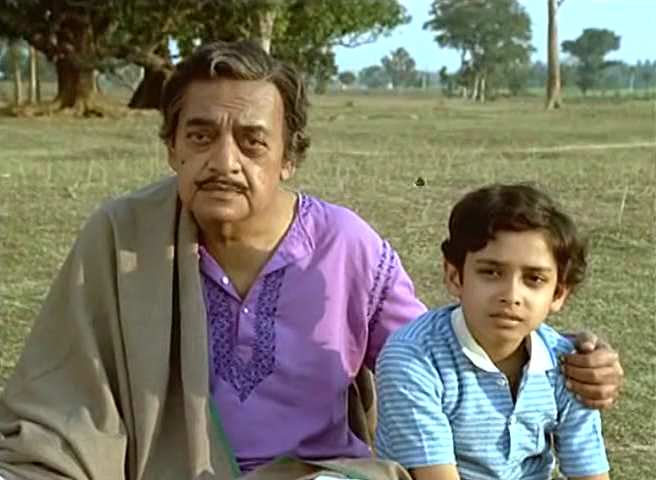 Nevertheless, since I saw them again once in Kolkata, they prepared me to see the last movies of Satyajit Ray, three of them constituting a final trilogy, Gana Shatru 1989 (Public Enemy), Shakha Proshakha 1990 (The Branches and the Twigs) and Agantuk 1991 (The Stranger). The trilogy attuned me to the Indian culture with the ‘song of the little road’ (Pather Panchali) in my mind. The journey inside India itself progressed along with the Ray films until I saw his last one, Agantuk, and understood that a film or movie is experienced in the viewer’s heart. Cinema awakes the caveman in each one of us. Very significantly Ray’s last film shows us the famous bison that was painted in a cave of Alta Mira in Spain some fifteen thousand years ago. In Agantuk the actor Utpal Dutt gives a human face to the antique bison. And we, the viewers who look at the screen, are like the cavemen of old contemplating images on the wall of their cave. Thus, watching a movie the Indian way is to enter the cave of one’s heart and contemplate the images some cave men − old or new − have created on the walls of the cave. Here the expression I use, ‘to enter the cave of one’s heart’ is a way of speaking that, perhaps, is not meaningful to some people. That difficulty comes from the fact that men and women do not all live human life in the same way. And we find among human beings the infinite variety we find in nature itself. Agantuk is a meditation on the present world and Manikda’s view on civilization. Even before coming to India, through the readings that I made, I had become aware of such differences between groups of people. Before coming to India I had already started to write, first in French, my mother tongue, then in English. In 1959, I wrote an article entitled ‘Dialogue with Tagore’. I imagined a dialogue between Tagore, on a visit to London, with a local student. I have Tagore say that people in the West derive joy from controlling life, whereas Indians derive joy from living. I already felt that Westerners had little time to live and to enjoy life at a deep level. In addition, Agantuk is a meditation on the present world and Manikda’s view on civilization. Here Satyajit Ray who in so many aspects first follows Rabindranath Tagore and inevitably goes beyond Tagore without betraying him. In his documentary film about Tagore Manikda quoted the words that Tagore had said about civilization, namely that he had thought that the light of civilization was coming from the West, but after the War he lost that confidence and thought that the light of civilization will now come from the East. But Satyajit Ray asserted that the light of civilization will come neither from the West nor from the East. It will come from the depth of the human heart. That is why in Aguntuk Ray showed the famous painting of a bison made in a cave of Alta Mira. Here we have a very human perception of the bison and a no less human way of representing that perception. And no doubt that perception was rooted in the hearth of the people living at that time. It may be also mentioned that the bison could be a symbol of the divine. Should that be the case, the divine for those people who drew the image is seen as a deity of the soil in distinction of the deity of the sky. From the Greek language the one of the soil is said to be ‘chthonian’, whereas the one of the sky is ‘ouranian’. Thus the invaders’ god is Indra (ouranian), and the Hindu god is Krishna, chthonian. In a cave next to the sea a few kilometers from Madras, there is an image on a wall of Indra and Krishna standing next to each other. The two seem friendly to each other, but the Lord Krishna is one head taller than Indra. A gently sarcastic statement? [i] This paragraph is quoted from my book Satyajit Ray (Manohar, 2007, pages 252-253). Satyajit Ray (aka Manik or Manikda), born in 1922, died in 1992.